Peal and slice 6 peaches into medium size bites. Combine with your filling sugar, flour, lemon rind and cinnamon. Pour and spread out into the pan. Set aside. For the topping: Combine your topping flour, gran. sugar, baking powder, salt, and nutmeg. In a separate bowl, beat one egg. Stir this into the dry mixture and mix for a minute or so until well combined. Place topping over fruit. Try to have as much covered as posible. Melt 1/2 cup of butter and pour evenly over the dessert. 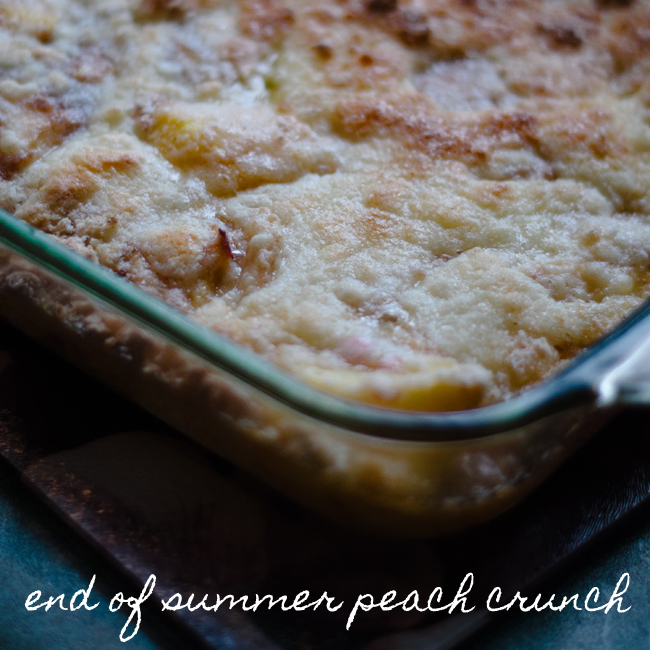 Hope you enjoy this recipe, I know we sure did when we had it on our cottage trip!